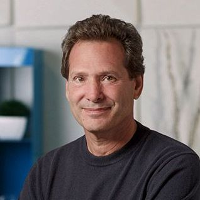 PayPal is a technology platform company that enables digital and mobile payments on behalf of consumers and merchants worldwide. It was spun out from eBay in July 2015. The Fool has written over 400 articles on PayPal Holdings. These two companies are both major components of the hot payments industry, and value and growth investors will probably differ over which to favor. The digital payment provider hit a new all-time high last month. Here's what investors need to know. A strong earnings report was icing on the cake for what has already been a stellar year for the digital payments leader. Strong quarterly results and price hikes by analysts have pushed PayPal's share price higher. Company shares continued an impressive ascent -- but have headed in the opposite direction in the current month. It was a good quarter. But investors have some concerns. It's amazing how fast shares spike when a company beats analysts' earnings estimates. The digital-payments specialist popped on a strong report and shows no signs of slowing down. PYPL earnings call for the period ending December 31, 2018. PYPL earnings call for the period ending June 30, 2018. PYPL earnings call for the period ending March 31, 2018. Industry, sector and description for PayPal Holdings.